Azimut Yachts consolidates its leadership at the 2016 Dubai International Boat Show. After five consecutive years of rising sales in Middle East, the company in joint venture with Seas & Deserts Group is strengthening its network in the Gulf with a new representative office in the prestigious Dubai Marina Yacht Club and a Service Manager transferred from headquarters to Seas & Deserts Group. Highlights: New office in Dubai Marina Yacht Club, New Service Manager for the Gulf area, Azimut dealer Seas & Deserts named “Grande Collection Dealer of the year”, New Azimut 72 and Magellano 66 models immediately sold out, not least as a result of strong demand in the Gulf market, and six Azimut models at the Dubai International Boat Show 2016. Beneteau and 5 Michelin-starred chefs invite you to join them on a fluvial gastronomic journey through France by the inland waterways, to celebrate the launch of its new Swift Trawler 30. There will be 5 gourmet stopovers between Deauville and Sète on this trip. Take a new boat, the Swift Trawler 30. Add an inland waterway crossing of France from north to south. Leave to simmer for 5 gourmet stopovers hosted by Michelin-starred Chefs. Don’t miss the chance to drop in and visit the boat at each stop. For the lucky ones, enjoy one of the dinners invented on board by a Michelin-starred Chef and relish your fluvial crossing. Follow each gourmet stopover and discover the chef’s recipes - recipes to try on board or at home - on the website Beneteau.com and the Facebook page Beneteau. Start of the crossing: Deauville on 24 April, finishing in Sète end May. The person behind this operation is none other than Guy Lassausaie, Meilleur ouvrier de France (Best craftsman in France) in 1993, and owner of the Chasselay 2 Michelin stars restaurant! Over the last few days the Marina di Loano Yacht Club hosted a training course, organised by Italian Yacht Master and sponsored by Cerri Cantieri Navali, for the implementation of the ISM Code. The course, targeted at captains, was provided by DNV-GL Academy. Among participants were two students of the Camogli nautical school, who thus had the opportunity to get a taste of their future job. Italian Yacht Master’s project aims to create a community of Italian captains, sharing skills and knowledge in a constantly-evolving and increasingly global market - an objective fully supported by CCN, who was pleased to be involved in an event that also allows the boat builder to further improve its own boats. “We enthusiastically took part in this training – comments CCN’s CEO Diego Michele Prati – as we believe that increasing the Italian crews’ knowledge and expertise is the best way to also improve the way we build boats and cruise the seas”. Cerri Cantieri Navali based in La Spezia, wants to get closer to its followers, and enters in the mobile world launching three new apps dedicated to its production lines: CCN Flyingsport, CCN 35/27 M e CCN Phileas 35M. The entire project was managed by CCN along with Giango (www.giangocomunicazione.it) and T4All (www.t4all.it), responsible respectively for the graphic design and technological development of the three applications. The applications, that can be downloaded directly from the Apple Store, are available for Ipad, both in English and Italian. The same Apps will be available for the other mobile devices shortly. “Navigate within these three apps –says Raffaella Daino, CCN Head of Communications and Marketing- is a simple and pleasant experience, and allows you to discover everything there is to know about each model, illustrating the main characteristics through accurate data sheets, an extensive and detailed photo gallery, videos, and much more”. A comprehensive and fascinating overview of your dream boat, right in your tablet. CCN lovers can enjoy the apps and stay tuned with CCN news also on all the social networks as CCN new pages are now available on Facebook, Instagram, Twitter and Linkedin. “Convergence” is coming: the new edition of the professional training and refresher courses, organised by Ferretti Group for the captains of the motoryachts and vessels in its fleet, will be held from 15-18 March, 2016. . The sessions will be held in Salzburg, Austria, and will include formal training as well as outdoor activities, bringing together around 100 captains and chief engineers from all around the world. During the four days of "Convergence" 2016, the main objective will be to analyse the most important recent technological innovations added to the Group's yachts by exploring their functions, how they work and the maintenance needs. 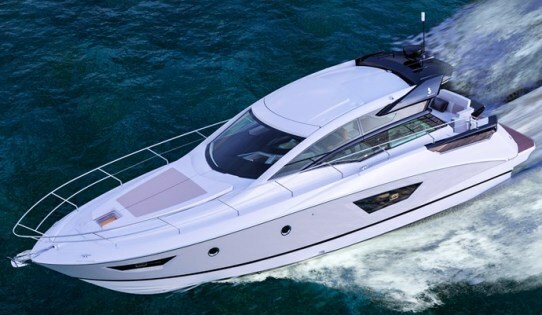 Some of Ferretti Group’s leading technology partners will host many of the technical seminars, including MAN, Ranieri Tonissi, RINA and Side Power. Captains and chief engineers will also take part in refresher courses and team-building activities, such as city tours, sports and leisure pursuits. All this will consolidate the feeling of being part of the Group and, once again, reiterate its commitment to supporting seagoing professionals. Ferretti Group is continuing its international “tour” of the capital cities in the world of yachting. The next stop is Hong Kong, where the Group has based its subsidiary in the Asia-Pacific region since 2013. From 4–6 March Aberdeen Marina will be the splendid venue for the “Ferretti Group Open Days”, a three-day event reserved for yacht owners, clients, guests and journalists. This exclusive and private boat parade will show off some of the latest yachts launched by the Group in the Asia-Pacific region. During this one-of-a-kind event in China the spotlight will focus on: The Ferretti Yachts 960 “Tai He Ban”, the Ferretti Yachts 650, and the Ferretti Yachts 550; and the Custom Line 124’ and the Custom Line Navetta 28. “It will be wonderful to spend three whole days with our friends in Hong Kong and mainland China, offering them a private view of the Ferretti Yachts and Custom Line fleet and unique sea trials,” says Stefano de Vivo, Chief Commercial Officer of the Ferretti Group. “The Ferretti Group Open Days are going to be an exclusive event with an informal atmosphere to ensure our visitors enjoy themselves. We are looking forward to welcoming owners, clients and media, who will feel like special guests at a private boat show with the unique opportunity of a privileged insight into five extraordinary yachts, two of which are making their debut in the Asia-Pacific region.” The two yachts that will lead the scene are the Ferretti Yachts 550, the new 55-foot flybridge model that is already a huge success in Europe and America with 8 yachts sold in just 6 months, and the flagship Ferretti Yachts 960,in the special “Tai He Ban” edition. Word about the “Tai He Ban” layout has already spread throughout the Far East: the magnificent product of Ferretti’s new Design Philosophy, it is specifically inspired by the Hall of Supreme Harmony in Beijing, one of the most spectacular and luxurious buildings within the Forbidden City where ceremonies were held in the presence of the Emperor and his dignitaries. The fleet is completed by the Ferretti Yachts 650 and two Custom Line maxi yachts that rank among the most admired vessels in the range: the Custom Line 124’, the flagship in the planing line and one of the largest yachts to sail Chinese waters; and the Custom Line Navetta 28, the latest model in the semi-displacement range and already a huge success following its arrival in the Asia-Pacific just a few months ago. Guests will be able to explore all five yachts during the three-day event, with visits on board and sea trials off the coast of Hong Kong. They will have the exclusive opportunity to discover the secrets of these jewels in the crown of luxury Italian yachting, assisted by representatives of Ferretti Group Asia-Pacific. 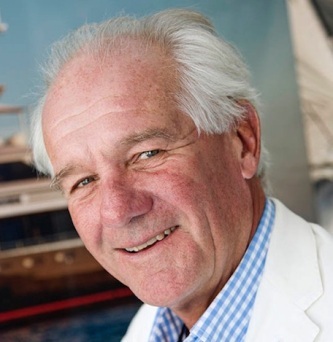 Heesen appoint Arthur Brouwer as CEO effective February 1, 2016. Arthur Brouwer has been serving as Executive Chairman since September 2014. With an established track record of 19 years both in senior leadership roles as well as CEO positions in listed large family firms and private equity, Mr. Brouwer has in-depth experience in retail, automotive wholesale and production. His current mandate is to take Heesen Yachts, leader in custom-built superyachts and internationally renowned for creating exceptional performances in speed, range and stability, to the next stage of its development. ‘It is a great privilege to head Heesen, an internationally respected Company which has been setting standards of excellence and design engineering innovation for the past 38 years’ commented Mr. Brouwer. ‘My past experiences have enabled me to acquire great knowledge of the operational excellence, sales and marketing, strategy and my concrete aim moving forward is to capitalise and build on what has previously been achieved by taking Heesen to the next chapter of its history’. Horizon Yachts is pleased to announce that we are nominated once again for the “Best Asian Motoryacht Builder” award from the 2016 Asia Boating Awards; this marks our 11th consecutive nomination for this award, which we have been proud to win each year of our nomination. Additionally, Horizon Yachts is nominated for the “Best Brand Presence in Asia” award, and our new Horizon RP120 superyacht is nominated for two awards -- the “Best Asian Built Yacht” and “Best Production Motoryacht (25m above). Last but certainly not least, the Horizon E56 motoryachtis nominated for “Best Production Motoryacht (15-24M)’. The 12th Asia Boating Awards, organized by Asia-Pacific Boating and China Boating magazines, will be held in Singapore on April 7th -- the opening day of the Singapore Yacht Show – at ONE°15 Marina Club on SentosaIsland. The awards feature 25 categories and 200 nominees including boats, yachts, superyachts, builders, brands, marinas, yacht clubs, regattas, designers, and personalities from across the globe. Nominees are chosen through online polling of the magazine’s readers, and final winners in each category are chosen by a panel of expert judges. 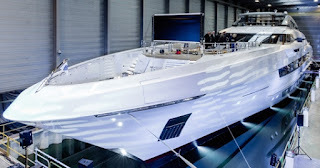 On Saturday the 23rd of April North Line and Kuster Yachts of Harlingen, builders of the seaworthy North-Line grp and Kuster steel motor yachts, will open their doors. From 11:00 until 16.00 hours, everyone is welcome in Harlingen to become acquainted with the boatyard and its work. Visitors will be able to view four models in production and at various stages of completion, including the North-Line 42 Wheelhouse, North-Line 37 Wheelhouse and the new North-Line 50. Visitors will have the opportunity to see what is required to build seaworthy motor yachts in steel and GRP. Also on view will be the moulding of a grp hull, an engine installation and the fitting of carpet to an interior. dealer partners. They have a dealership culture and customer centric business philosophy that lines up perfectly with the values and goals that we manage our business by at Pursuit,” Ron Burkdoll, Regional Business Development Manager, Pursuit Boats. Legendary Marine will handle the sales and service responsibility for Pursuit Boats from its Destin and Panama City, Florida locations. When two legends meet, extraordinary stories and unforgettable emotions come to life. This is about to happen in Formula 1 with the news that Riva will be Scuderia Ferrari’s official sponsor throughout the 2016 World Championship. The international yacht brand and the Prancing Horse’s single-seater racing machines will be competing together for the first time on all the Formula 1 circuits that will host the 21 Grand Prix races. The sponsorship was officially announced in Maranello during the presentation of the new Ferrari SF16-H car, which will compete in the next Formula 1 World Championship. 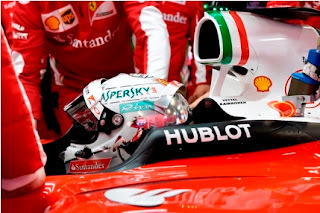 The Riva logo, featuring the unmistakable aquamarine background, will be visible on the helmets of Scuderia Ferrari's two drivers, Sebastian Vettel and Kimi Raikkonen. “An icon of recreational boating meets the most exceptional Formula 1 team giving birth to an unmatched duo, a legend meeting another legend, racing together on Formula 1 circuits and cruising the seas worldwide" - explains Ferretti Group’s CEO Alberto Galassi. “We are truly proud to be writing a new chapter of Riva’s glorious history together with Ferrari, thereby renovating a collaboration that, in the past, led to true sea jewels . The exclusive cooperation between Riva and Scuderia Ferrari brings together two icons of style and technological innovation, which every day thrill speedboat and car racing enthusiasts all over the world.” The first Grand Prix race to look forward to is the Rolex Australian Grand Prix (from 18-20 March in Melbourne), but the challenge will cover 21 weekends, culminating on 27 November with the Etihad Airways Abu Dhabi Grand Prix, the grand finale of the 2016 World Championship. Registrations are now open for the Riviera Festival Boating in May – 2016’s Ultimate Boating Event. With a greater focus than ever before on broadening the boating knowledge and skills of luxury motor yacht owners, Riviera’s 2016 educational program is the Festival’s most expansive ever. This year the marque will present over 110 informative and very hands-on workshops spread over four days to build boating safety and confidence, including 17 brand-new workshops. Many of the Festival’s popular workshops have been fully refreshed, providing ever greater in-depth training in specific areas of nautical interest. The Riviera Festival of Boating – coinciding with the Gold Coast International Marine Expo from 19-22 May 2016 – draws owners from around Australia and around the world to celebrate and share in all that it is that makes boating with Riviera so unique. Over the past four years, Riviera’s truly unique Festival has assisted hundreds of motor yacht owners from around the world to stretch their sea legs and enjoy more of the rich and rewarding benefits of the luxury life afloat. This year Riviera takes the exhilaration and enjoyment to inspiring new levels with both introductory and advanced courses to suit all degrees of seamanship and boating knowledge to be presented by nautical trainers with a wealth of boating wisdom and experiences. The Festival’s 2016 Seamanship Program aims to inspire Riviera and Belize owners to use their yachts to their full potential. Experienced skipper Tim Edwards will present a workshop on offshore seamanship, while one of Australia’s meteorologists Anthony Cornelius will present separate workshops on weather fundamentals and advanced forecasting. Maintenance Programs will be presented by marine professionals covering Preventative Maintenance and Discovering the Tricks of the Trade, Understanding Desalination, Know Your Generator, Troubleshooting Sanitation Systems and Understanding the Science of Anti-Fouling. The Systems Programs reflect how Riviera is embracing the technology that makes boating so much easier and more enjoyable. Workshops include Understanding the Simplicity of CZone, Onboard Power Systems, Get The Most From The Glass Cockpit, and Experience a Riviera Shaft-Drive with Express Joystick and See The Seakeeper At Work. Navigation and safety have a special focus at this year’s Festival. Registrants can book for Traditional Navigation 1 – Passage Planning, Traditional Navigation 2 – Positioning, Basic Radar – Fixing Targets, Radar Rendezvous – Traditional Chart Plotting, Local Direction, IALA Buoyage System/Collision Regulations and Understanding Electronic Navigation with Raymarine. Fire Training and Emergency Planning, Emergency Protocols & Procedures, First Aid Essentials, Safe Towing, Anchoring & Rafting, Radio Communications – Distress, Marine Assist and Safety are open to all registrants, while on Sunday Riviera and Belize owners will be able to attain their Australian Waters Qualification. Mr Longhurst said the 2016 program was the Festival’s most extensive yet, and also included inspirational seminars on interior design and cruising to idyllic destinations. On the Riviera Marina – as part of the award-winning Gold Coast International Marine Expo – there will be even more inspiration in the form of 12 stunning examples of on-water excellence. Of course, the Festival is just as much about fun and celebration as it is about education and Riviera also invites luxury motor yacht owners to a special Ladies Day at the Festival – Fashion and Fine Food Luncheon at Marina Mirage and Fellini Restorante e Bar, as well as a Saturday night gala cocktail marina party followed by a spectacular dinner show, Viva Las Riviera, to be attended by over 500 guests in a special section of the Riviera factory. Wim Van der Valk are proud to announce a new Experience Event at it's yacht building facilities in Waalwijk, the Netherlands. Running from Thursday 17 to Sunday 20 March, this is an exceptional opportunity for you to get a sense of our latest projects and developments in a very personal way. The following yachts will be showcased at the event: 2x Continental Two 23 m Flybridge, Continental Two 27 m Flybridge, Continental Three 26 m Raised Pilothouse, Continental Four (Trawler) 24 m Flybridge, Continental One 15 m Wheelhouse, Continental One 17 m Wheelhouse, and Continental One 19 m Wheelhouse. Refreshments will be served in the forms of drinks and a buffet, and visitors can enjoy pleasant music as they stroll around the yard and view the vessels at their leisure. There is nothing like the thrill of a screaming reel, except when it is combined with winning big money on television! The Offshore Fishing League is looking for a few good teams to join the world's first professional salt water fishing league. Endorsed and sponsored by Viking, the OFL is pulling together some of the most passionate fishing teams to participate in the iconic North Atlantic tournaments, compete for the Champion title and win big money, all while being filmed and broadcast on national television. The OFL is a reality TV series including some of the top big game fishing teams. Hitting the tournament circuit and hooking up over six tournaments, the series will showcase the exhilaration of real tournament fishing to millions of anglers, adventure seekers and adrenaline junkies as well as outdoor and sports enthusiasts and feature all the pumping excitement that lures you into the cockpit again and again. Fans can follow their favorite teams throughout each tournament leg, cheering on their angling achievements at every turn. You can keep up to date via an online fan zone, or on Facebook, Twitter, YouTube, or Instagram. Now for the fine print. All OFL participants must follow the rules of each tournament. The team's classification on each leg, or tournament, will earn points towards winning the Offshore Fishing League Champion trophy and title. Over $10 million in cash prizes is awarded from the six major tournaments. 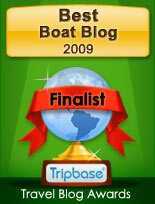 Other fishing shows like Wicked Tuna or Deadliest Catch have a global following. Ever dream of being a pioneer in sportfishing, getting paid major money for product endorsement, speaking engagements or for you and your teammates to just show up? Rise up to the challenge. Now is your chance to be part of history as one of the first teams to compete in the OFL. Star in your own sports show, do what you already do and love, and hit the bank with a big check. Viking Vice President of Sales Joe Schwab, along with Viking's International Sales Consultant Steve Boerema, recently took in a whirlwind tour of Asia while spending time with Viking's authorized dealer Simpson Marine. The journey began in Hong Kong where Joe and Steve met Simpson Marine founder, Mike Simpson, who started the business in 1984. After getting their bearings, and a little sleep, the next day started bright and early with a team meeting discussing Viking's history as well as the current boating market and opportunities in the southern Asian market. This program continued to Simpson's locations in Phuket, Thailand and Singapore. The teams acknowledged Asia as a well-known cruising destination but also discovered an untapped market for phenomenal fishing. The entire Simpson company, boasting over 100 enthusiastic team members in 11 locations, is excited to build the Viking brand and we are thrilled to have them onboard. A further evolution of the MD61 project, Maxi Dolphin's MD65 aims to bring the open yacht virtues of the well received MD51 into larger sizes. Designed as the 51 by Roberto Starkel, the 65 adds comfort to the package of the smaller models with a spacious standard three double cabins interior being key to some of the pluses of the larger size. A crew cabin will be located at midships. An optional layout will also feature two large staterooms with two large cabins, and the owners room moving to midships. Standard power for the MD65 will come from twin 900hp Volvo engines with the large IPS1200 pod drives, this giving max speeds of 40 knots. Optional choices will come from Man 1200hp and MTU 1360hp both these units coming with Arneson surface drives propulsion. Founded in 1986 and this year celebrating thirty years in business custom sportfish builder Jarrett Bay Boatworks presents a newly updated website. Located as the majority of the Custom Sportfish builders in Carolina region, Jarrett Bay founders actually started up by offering charter fishing services. Out of need in 1986 the company needed to replace its boat, and here Jarrett Bay Boatworks is founded. Two years later the launching of hull number one, the 52 feet Sensation is a reality. Over twenty years later and main engines changed M/Y Sensation is still in service as a full time charter boat. In the same year to the splashing of Sensation, number two goes in the water and as at today Jarrett Bay is building its hull number 62. what is the new 90 feet flagship. That is excluding the twenty plus deliveries of semi custom fiberglass built centre consoles, which started in 2004 with the 32 Walk-Around Express, updated to the 34 Walk-Around Express in 2008. All the Jarrett Bay custom builds, are made with the cold molding method, and can take two years to complete. Cold molding is frame shaping in wood covered and protected with fibreglass and resin. The custom range has seen its smaller construction with the 25 Centre Console hull 10, and the largest being the currently in build 90 feet Sportfisherman hull 62. From its humble shed beginnings, today Jarrett Bay has expanded its facility to Beaufort in North Carolina at a 175 acre facility. The new building site can build up to four custom Jarrett Bay's in one time, and has also a maximum building length of up to 120 feet in length. Jarrett Bay's new online showroom takes you around with the following buttons: New Construction, Why Jarrett Bay, Service, Facilities, Clothing, News, Boats For Sale, Employment, Our Team, and Contact Us. Jarrett Bay is also located on social media hubs; Facebook, Twitter, Youtube, and Instagram with a button link to these pages on the bottom left of the page. There is always something fresh about each new Viking coming out, and the new 48 Convertible comes no less to the statement of building a better boat every day the New Jersey USA builder is so proud of. The 48 Convertible is a model which comes as replacement to the 2009 launched 46. Looking as a sportfish should do, the 48 is targeted at the owner sport-fisherman and presents him with an interesting game fishing machine with lots of cruising amenities. See three double cabins below, which includes a spacious owners room located at midships starboard side. The main deck is dedicated to life on-board with a galley, dinette, and relaxing sofa. Power will come from standard twin 900hp, and go up to the huge 1400hp units. It is with enormous sadness that Honor Dubois and the team at Dubois Naval Architects announce the death of Ed Dubois yesterday. Following a period of illness last year, Ed had been in better health and working as normal. Unexpectedly he was admitted to hospital last week and sadly died on Thursday. Ed’s career spanned decades and his passion, commitment to his work and love of his clients created a unique business, driven by exceptional design and technical talent and a genuine desire to create the most breathtakingly beautiful and technically advanced yachts; now scattered across the globe. Although created by Ed, Dubois Naval Architects has always been underpinned an incredibly committed and talented, team of naval architects, none more so than those working with Ed at the moment. The business will continue. Peter Bolke, who is Senior Designer and has been a valued member of the Dubois team for 23 years, will become Managing Director with immediate effect. Peter will be supported by the rest of the Dubois team. With one of the industry’s most innovative 58m yachts currently in build and a number of similarly ambitious projects in the design stage, Ed left the business at an exciting moment in its development. Peter and his team will be supported by Ed’s great friends, Richard Cunningham, and Andrew Prynne QC, Ed’s friend for fifty years. Ed Dubois was a huge talent and his legacy will continue as one of the world’s great yacht designers. Known not only for his love of all things boat-related, but also music, art, travel and most of all his family and friends. Ed leaves his darling wife Honor and four wonderful children, to whom he was completely devoted. Since launching the new 510 series in 2013 Sea Ray has embraced European design with a certain conviction never seen before. The 400 series is the latest in this important direction, and just behind the launching of the 400 Sundancer model comes the new Fly sister with flybridge. 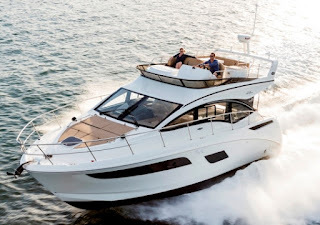 The 400 Fly is an interesting Sea Ray for the boater who wants to embrace cruising with comfort, and this model ticks a lot of boxes not only to the USA boater but as a global flybridge motor cruiser offer. The 400 Fly just like the sister Sundancer embraces the single level living on the main deck, with below deck reserved for the sleeping quarters with the two cabins. Option and making this Sea Ray is also key to the new mentality of the World known USA builder with the 400 Fly offered with a lot of options and choices. From a four color choice, optional hard top covering the flybridge, interior arrangement to have a two shower head versus the standard single shower head, and last but not least the extra of an up-down extended bathing platform aft. What a better way to return a legend then to bring back modern versions of the models which made it become so. The new Bertram way seems set to go exactly into this direction, decades later. Designed as the currently in build 35, by World famous deep-V specialist Micheal Peters the new 58 is homage to the eighties 54. Delivered in over fifty units in a production run over ten years, the 54 is a legend to behold not only for its sales number but also for the sea keeping its Dave Napier designed modified V-shape hull delivered. To say it short the 54 was Bertram second most important model ever made behind the 31. It is also a model which championed the fifty plus feet sport-fisherman yacht to new owners. The Bertram 58 is still in infant project stages, what we know so far is that it will have a 40 knots performance, wrap around wind screen with full view, and hull one is expected to launch in late 2017. Heesen is delighted to announce the launch of the largest yacht in it's fleet to date, the 70m FDHF superyacht Project Kometa. The owners have christened their new yacht Galactica Super Nova. Yard number 17470 is not only the biggest yacht built by Heesen Yachts to date, but she is also one of the top two hundred largest yachts in the world and one of the fastest for her size. Galactica Super Nova utilizes the revolutionary Fast Displacement Hull Form technology devised by van Oossanen Naval Architects, which Heesen was the first to put into production. Thanks to the addition of a third engine to power a booster jet, she will be capable of reaching a top speed of more than 30 knots. With exterior lines by Espen Øino and interior design by Sinot Exclusive Yacht Design,Galactica Super Nova is both an evolution of Heesen's long experience in the superyacht sector and also the result of a specific research into what the market wants and expects. Galactica Super Nova will be extensively tested in the North Sea before being delivered to her owners in May 2016. After her maiden voyage from the Netherlands to Montenegro, she will cruise in the Mediterranean for the summer season before finally making her public debut at the Monaco Yacht Show. Since Outer Reef announced its entry into the Power Catamaran sector, its been a waiting game. Now Outer Reef is showing renderings of the first model to be of its new exciting Nautilus chapter, the 440. The Nautilus 440 will have a beam short of seven meters, with accommodation options available in three or four cabins layouts. Power will come from twin Cummins engines; 380hp standard, and options going up to 550hp units coupled to ZF Zeus pods propulsion. Top speed vary from 22 knots with the standard engines up to 30 knots of the large option. Range can go up to eight hundred nautical miles, if cruising in the most economical of speeds. Riviera's presents the new 5400 Sport Yacht. The Sport Yacht series from Riviera has been a success since the down under builder introduced the 3600 in 2005. Fast forward ten years since the launch of that model and those that followed, and one can see a big design change coming in recent years. 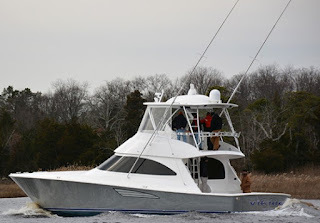 The first Sport Yacht models have been a nice mix of conservative Sportfisherman looks with European styled interiors and single level cockpit deck layout. That philosophy started to change with the introduction of the 5800 in 2009. Now this new 5400 Sport Yacht, which follows the 6000 flagship introduced in 2015 shows a more European stance to its design and looks followed by details of practicality. Why am I saying all this because I think the 5400 Sport Yacht is an important turn around to the design of the Riviera Sport Yacht series, and looks more European then ever. 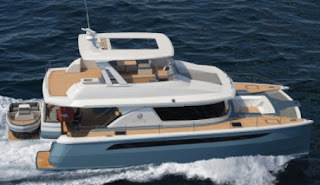 Still the design team of Riviera has been clever to offer something more to its 5400 Sport Yacht, then the typical seventeen meter European counter part; astern galley by the patio door to starboard, and the L-shaped mezzanine settee being two important cases in-point. Versatility is also offered in the 5400 Sport Yacht with a choice of a standard three double cabins layout, or two; third double bunk berth berth cabin replaced by an L-shaped sofa. The 5400 Sport Yacht also offers interesting performance numbers from its Volvo 725hp engines and IPS pod propulsion reaching top speeds up to 34 knots. Back Cove has become synonymous in building traditional cruisers for the affordable and easily maintained conscious yachtsmen. Practical elegance speaks to the simplicity and serviceability of Back Cove's systems and to the gracious lines of the down east cruisers. The Back Cove 32 is the latest model to be launched in a range that spans more than seven hundred hulls in fourteen years. New to the Back Cove range for 2017. the 32 is an amalgam of design ideas coming from discussions with current and potential owners, about the ways in which they use their boats. The Back Cove 32 offers the same concepts that have built the success of the range. Extraordinary fuel efficiency from her single diesel engine, straight forward systems and rugged traditional good looks. While her on-deck spaces are perfect for entertaining family and friends, her cozy and luxurious interior with the island double berth forward perfectly suiting the needs of a cruising couple. The skilled boat builders at Back Cove have crafted a warm and inviting interior using American cherry, finely finished with satin varnish. Power will come from a single Volvo 370hp unit with the always reliable line shaft propulsion. Amer 94 in an interesting new pocket size super yacht from the North Liguria boat builder. Replacing the 92 as Amer entry level model, the 94 might seem the classic contemporary Italian motor yacht outside; a sweeping super structure followed by hull lines having a shear line straight as the horizon. But go skin deep, to be exact inside the engine room and the Amer breaks convention with it's triple Volvo 900hp IPS propulsion system. 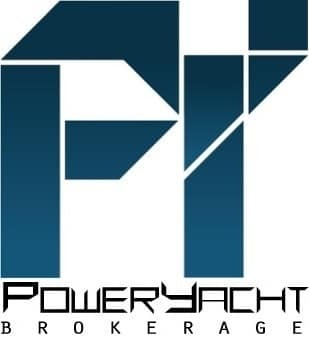 It is in fact as at today the largest IPS propelled yacht build so far in Europe. Like all Amer's the 94 breaks convention only in this regard, as designer Stefano Tini shows the semi custom variety the builder is known for offering five different layout options. The main difference in the layouts concerns the lower deck, offering plans which come in three large suites, traditional four double cabins, or a three cabins plus a room for a gymnasium choice. 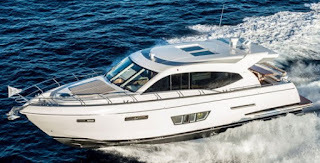 Its been an important change in design direction in the last year also for the Beneteau Gran Turismo range, which just as the more up market Montecarlo yacht range gets the treatment from Nuvolari Lenard. The GT 46 incorporates the latest generation Beneteau-designed Air Step Two planing hull, and for the first time offers a choice of Volvo IPS pod drives or stern drive propulsion, with power options up to twin 400hp. The GT 46 hard top has electrically-powered side glazing so that you can enjoy that “open” feeling. A fully opening glass door also maintains this impression and is available on option. 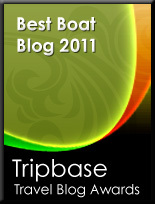 Available with a choice of two or three cabins, third twin bunk berth cabin taking place of the lower C-shape dinette. the GT 46 offers exceptional guest accommodation, hard to find on this size sport cruiser. Whitehaven is a rather new marque coming from down under Australia, with an interesting line starting from sixty and going to a 95 feet project. The 6000 line has been well received, and Whitehaven and its designer Jason Kao has been also very clever to use the same platform to suit three different styles of boating needs. The new 6000 Coupe of the three versions is that ideal for those looking for single level living, stylish appearance and superb performance. Whitehaven’s with this model also delivers an internal elegance with performance you would expect from a European marque. There is a lot to like about Whitehaven but its astern galley by the patio door, and the large full beam staterooms are some of the favorite features. But saying all the standing out detail for a planning sport yacht is the large 5500 liters fuel capacity, which with the standard 825hp MTU engines and best cruise can deliver an extended range of up to one thousand nautical miles. Mulder in the Netherlands has started construction on a new 36-metre motoryacht, the yard’s largest project to date and the second to be built to the exacting new LY3 standard. Having successfully delivered a 28.65-metre Mulder Voyager and the 34-metre custom-built Solis in 2015, this new 36-metre project is the next step forward for a Dutch yard that is making significant waves in the global superyacht world. The fast displacement super yacht will be built with full RINA MCA LY3 certification and have a transatlantic range. 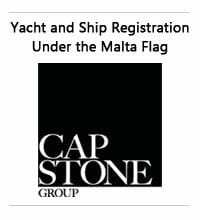 Following a successful partnership on an earlier build, Mulder suggested to the client that Claydon Reeves Design and International Yacht Register serve as owners’ representative. The naval architecture will be taken care of by Van Oossanen, ensuring the finest sailing characteristics. The new yacht will feature a bespoke modern exterior with a sleek aluminium construction and a continuous window line which culminates in a contemporary plumb bow. The design will feature the Van Oossanen patented Fast Displacement Hull Form (FDHF) to ensure comfortable sailing and fuel economy at all speeds. This will not compromise performance as the twin 1147hp engines will ensure a maximum speed of 17 knots. A full beam design will allow the volume and privacy in the owners area to be maximized. The slender, fluid design will go against the current fashion of ballooning beams, as the hull will measure no more than eight meters at its widest point. The slender hull and long waterline will together ensure outstanding sea-keeping capacities in rough seas, enhancing comfort for owner and guests alike. Five spacious cabins on board will accommodate up to ten guests. The exceptional features of the full beam master suite will be heightened by dedicated access to a private seating area in the bow, a tranquil nook from which to contemplate the horizon. An impressive saloon, dining room and bar area will be located on the main deck, with floor to ceiling windows providing panoramic views all around whilst also flooding the interior with lots of natural light. The dining experience will be enhanced by the addition of a folding side balcony, which will bring seascape panoramas right to the table. Further entertainment space can be found outside the saloon, where the large outdoor cockpit area will provide plenty of shaded al fresco seating and dining possibilities. The flybridge/sun deck above the beach club will include generous seating, lots of sun pads, a whirlpool bathtub with room for eight and a comfy dining place, a perfect backdrop to relaxing, sunbathing and socializing. For those who wish to be closer to the water, the 36-metre design will incorporate a beach club that is substantially larger than what one would normally expect on a yacht of this size, with further seating and a small day head. This new 36-metre motoryacht is slated for completion in the summer of 2017. Princess launch the second model of its growing S Class range with the new S65. This new Princess S65 showcases a sporty slender line with a spacious internal layout. A lightweight deep-V hull delivers on this promise with breathtaking agility up to 38 knots with the large Man 1400hp engine option. The interior of the S65 sports a four cabin layout; owners room at midships, ViP suite to fore, twin cabin berth to starboard, and a bunk fourth to port. A single berth crew cabin is located aft to port side. The living is located on the main deck with the astern galley being at the center of activities whether serving the aft cockpit or the internal saloon, A sport bridge up top makes for an interesting heads in the air driving position and at the same time offering another exterior entertainment area outside, the other two being forward and aft. Ferretti Group's 2016 will be a year of important novelty and expansion. This can be easily noticed since it's headline Ferretti yacht brand has already announced two important upcoming projects. One project which will be of great importance is the 450, a completely new upcoming entry level model for Ferretti. It's been a while since Ferretti build a sub fifty feet model, and the waiting for customers is now over. Designed by Zuccon the 450 follows design stints as seen on the well received 550, and in my opinion will also be quite a handful for the major competitors. The 450 indeed will feature a full beam midships owners cabin, and a choice of a standard three double cabin layout; third bunk cabin, or optional two large staterooms arrangement. The 450 will also feature a very interesting main deck, with an L-shape astern galley serving both aft or internal saloon easily. Flybridge will be usual Ferretti layout of a back located forward facing C-shaped dinette, helm to port, and sun-pad to starboard. Some details which we have seen on new Ferretti will also be happily featured in the 450, see sliding up down bathing platform, while good to the see that part of the brand DNA as the importance of maximizing waterline length has not been forgotten. The 450 will come with twin Cummins 425hp or optional 480hp units. Speed will be a max of 31 knots with the large engine option. 2016 has started with a bang, and while the best of times for the nautical industry are still ahead, we are seeing notice who will be the protagonist in the coming expanding years. The market has become more of a globalized one, with World brands taking a place in the heart of customers. What will be the most different from the market of five six years ago is that today the market has become one of global entity, with some names taking World fame. The others who used to enjoy a fame in the home market will have to see what there position will be in the coming couple years. For them at the moment it is all about rebuilding and existing, making know to your customers you exist and ready to go. For the first months of 2016 in fact we have seen a couple of restarts from Canados to that of Fairline, and other companies are showing they are still there to show there part. See Rizzardi who participated at the Nauticsud Naples boat show with an Incredible model. It will be interesting times ahead, especially for Europe's regional builders who usually are known for making very interesting semi custom products. A part of this will also come from customers, if most buyers will be new it will be a safe choice they will go to the brand they or the friend knows. Still not opening yourself to other possibilities might be a lost chance to have a better product, and one which fits your criteria more.